Prohibition was the law of the land by 1920, but the Prohibition Party was still uneasy. As the presidential campaign season got underway, they feared that neither a Republican nor a Democratic president could be trusted to vigorously enforce the new law. Already there were proposals to weaken prohibition by modifying the law to allow the manufacture of light wines and beer. 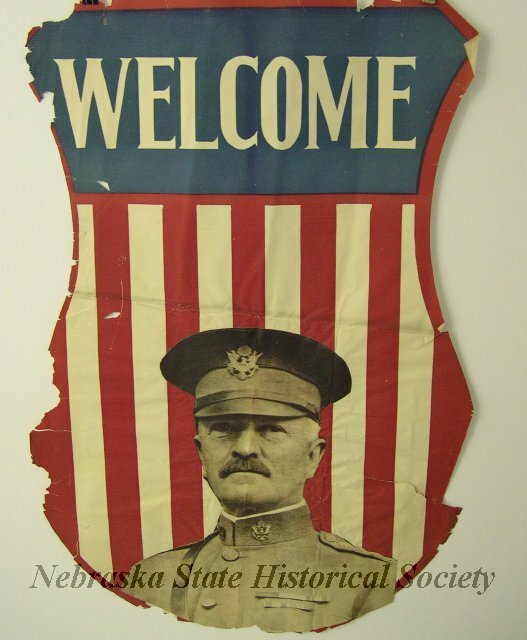 A World War I poster featuring Gen. John J. Pershing. NSHS 13000-3565 (at left).